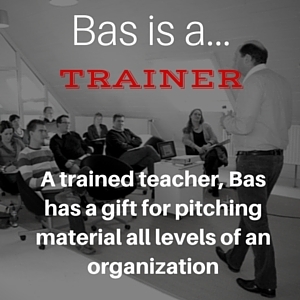 When I was in college, my parents were sure: Bas will become a teacher. They thought a history teacher, after all, that was what I was studying. To be honest, it wasn’t too surprising they thought that. They were teachers themselves. My dad taught French and was a school principal. My mom was a grade-school teacher. Trust me, I could have filled a school with family members of teachers. I didn’t become a history teacher. Although, I do use history a lot in my current roles. I didn’t even become an ‘official’ teacher on a high school. Maybe to the disappointment of my parents. I went into the internet business. That they didn’t foresee. For one because there was no such thing as the Internet when I started college. At least not as we know it now. Life has its ways of turning things around. And as it turns out, more than 20 years after I was in college, I am a teacher. A different kind of teacher than thought maybe, but I am a teacher. Much of what I do these days is teaching. 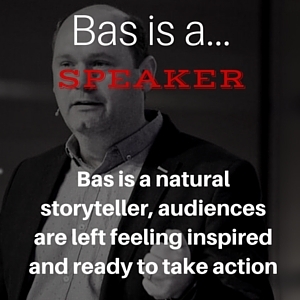 Speaking at events is a way of teaching. Writing is a way of teaching. Even in consulting, I am teaching. 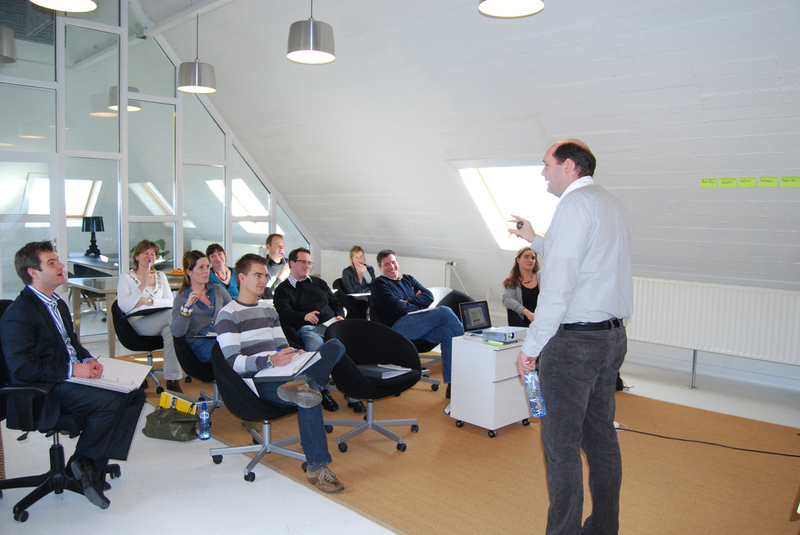 And of course, the training sessions I do are teaching. Instead teaching of high school students about history, I now teach grown-ups. 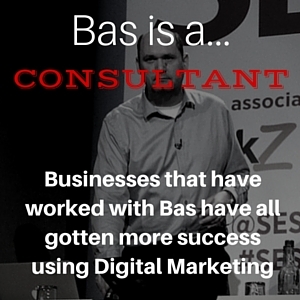 I teach marketers, about digital marketing. Some say teaching is the most important profession in the world. When people say this, they usually talk about high school and university teachers. And for the most part, I agree. Education is important. It helps make people better people. I also believe we shouldn’t just say this about teaching young people. This goes for the older generations as well. My grandma, (yes, the same one who taught me about marketing principles) until the day she died said she was learning every day. And it made her life better. As someone now well in his 40s, I believe I should learn every day as well. Stay on top of things, get new ideas, new angles. I make an effort to learn every day. And to teach every day. I believe there is a need for learning and teaching. Especially in the digital marketing space. It is such a fast changing industry that it is not easy to stay on top of things. It’s difficult to make choices without knowing the what is importance and what isn’t. It’s a topic I am passionate about. For several reasons. For one, as said above, I believe people should always want to learn. Especially in a fast changing industry like ours. Also, I see a lot happening in this space. We see the rise of online training platforms like Udemy and Coursera. And we see a rise of webinars. It is one of the things I am working on as well at the moment. As part of the bigger picture. I see many marketing departments struggling. Because there is a lack of direction and lack of understanding. Events, online training and face-to-face training. All are a big part of the solution for these businesses to move forward. I’d love to know how your company looks at this. Do you train your people? Do you train yourself? And how do you decide where you need teaching? Let’s discuss! And if you want to talk more, don’t hesitate to get in touch!